Isabeau de Bavière (1371-September 24, 1435) on July 17, 1385. 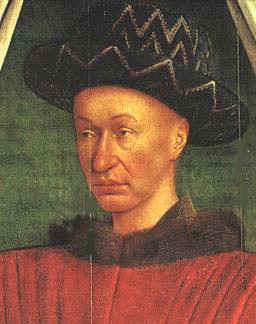 Louis XI (July 3, 1423 – August 30, 1483) was a King of France (1461 – 1483). 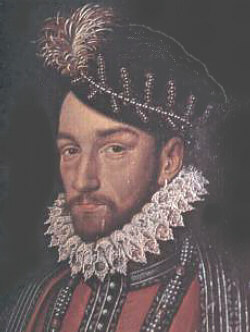 He was the son of Charles VII of France and Mary of Anjou. 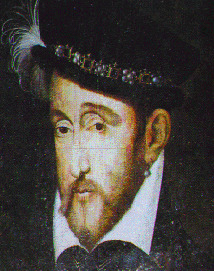 He was a member of the Valois Dynasty and was one of the most successful kings of France in terms of uniting the country. His 22-year reign was marked by political machinations, resulting in his being given the nickname of the “Spider King”. As King, in 1524, he assisted the citizens of Lyon to finance the expedition of Giovanni da Verrazano to North America; on this expedition, Verrazano claimed Newfoundland for the French crown. In 1534, he sent Jacques Cartier to explore the St. Lawrence River in Quebec to find certaines îles et pays où l’on dit qu’il se doit trouver grande quantité d’or et autres riches choses (“certain islands and lands where it is said there are great quantities of gold and other riches”). While Francis left France strewn with magnificent palaces he caused severe harm to the nation’s economic well-being in order to do so. In his old age Louis XII worried that Francis, his successor, “would spoil everything.” Francis’ father-in-law had left France in good shape with the monarchy ascendant over the feudal lords and the economy prospering. 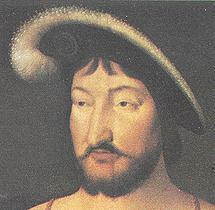 While Francis continued to strengthen the crown he succeeded in undermining the nation’s economy. Palaces were extremely expensive, as were wars against the Hapsburgs. 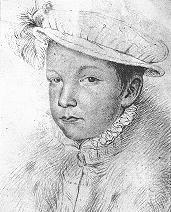 Born in the Royal Château at Saint-Germain-en-Laye, France, the son of François I and Claude de France, his marriage was arranged to Catherine de Medici (Apr il 13, 1519 – January 5, 1589) on October 28, 1533 when both were 14 years old. His long-running affair with Diane de Poitiers lasted throughout his married life.